Work closed early on last Friday, so I took advantage and headed over to Lake Roland for some birding. I saw many more birds than I expected to for 2pm, including the above Red-Shouldered Hawks. 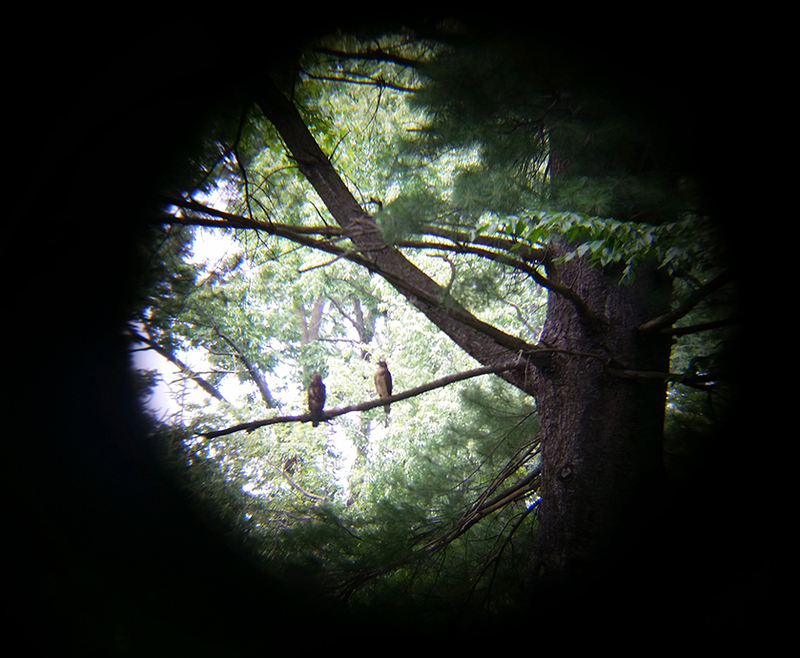 I snapped that photo with my phone through my binoculars, and it didn’t turn out half bad. 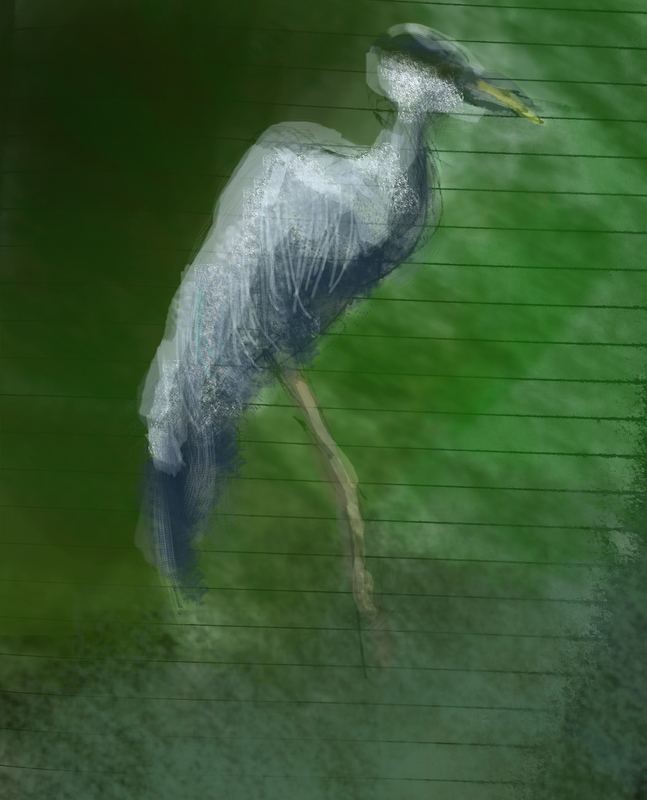 I also was able to do a quick sketch of the Great Blue Heron I saw, which I spruced up in Photoshop (with some help from Nat). When my brother Tyler and his wife Andrea stopped by Baltimore for a visit, we decided to take a short hike at Lake Roland. There had been a Baltimore Oriole nest there for a while, and Tyler brought along his camera and lens to try to snap a picture of it. The above shot is one of several he was able to capture. 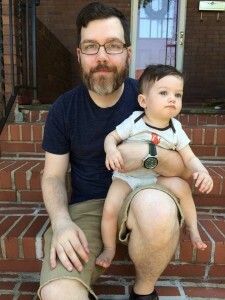 Until Nathalie and I began getting into birding, we had never seen a Baltimore Oriole, though similar to my Indigo Bunting story, we ‘always kept an eye out’. 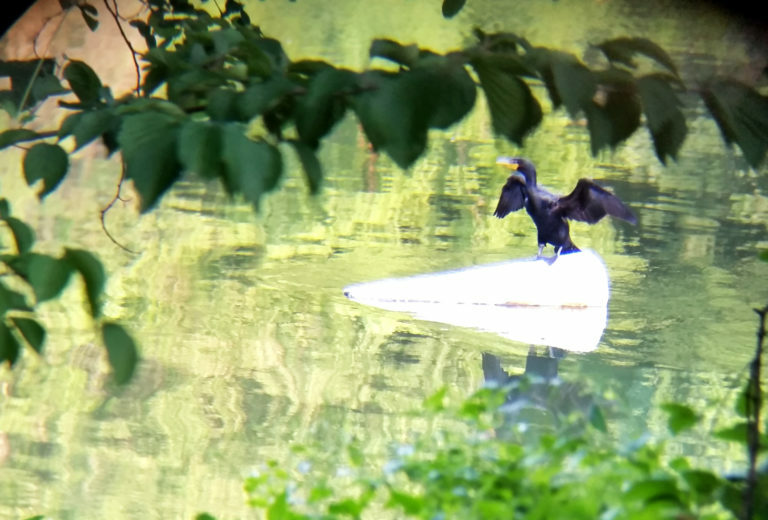 It wasn’t until one of our first solo birding trips that we finally saw not one, but three Baltimore Orioles way at the top of the trees along Lake Roland (just near the elephant sculpture along the trail). 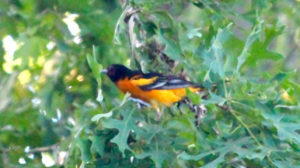 I’ve wondered if those same Orioles were the ones that eventually nested in the park. Our most recent Oriole sighting was this past weekend when we spotted three juveniles fluttering about in the trees just beside Acorn Hill. They were about three feet away at their closest, which was extremely exciting. Since we began, I’ve been interested in snapping photos of the birds we see, however the equipment I would need is far too cost-prohibitive right now. Still, I want some way to record at least some of our sightings each time we go out beyond an eBird checklist, so I’ve begun bringing a sketchbook along, and tackling the challenge of sketching birds in nature. 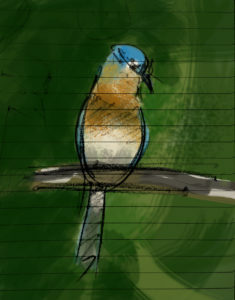 Here’s the first one, an Eastern Bluebird from Lake Roland last night. Another interesting note was the large number of Reclusive Pokemon Go Players we saw. 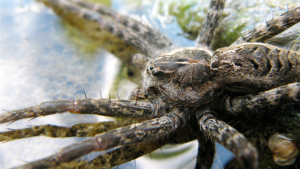 This species used to be quite rare, and it was fascinating to see them venture so brazenly into the open in all areas of Lake Roland, right on the boardwalk, inside the pavilions, and even in the dog park. I wonder if they are here to stay, or if they will meander off, never to be seen again.